Each and every audience member already has a version of this film swimming through their minds. Years of rumors and speculations have crafted individual cinematic experiences that are about to be surpassed or shattered. That’s how most of us Star Wars fans have been spending the last week since the announcement of the approaching sequels. It will only continue until the release of episode VII in May. As further information is released, concept art is revealed, production stills released, and the trailer is shown, the movies we’ve all made in our heads will twist and morph to fit what we see. I have fond memories of the years leading up the the release of The Phantom Menace. George Lucas was so adamant that all the multimedia developing Star Wars properties avoided anything prior to Episode IV. Other than a few allusions to past events in the original films and numerous spin-off novels, the galaxy before A New Hope was a clean slate for our imaginations. Literally anything we could fathom had a chance of occurring in these films. I can safely say that the time I spent speculating on what Episode I would be was far more gratifying than what it was. That’s the thing,isn’t it? There exist two kinds of films, no more, no less; the ones we dream of, and the ones we get. To begin my rounds of speculation for these upcoming films, I’d like to share with you three things that I would love (but don’t expect) to see happen. These musings are based on the current rumor I’ve come across (sorry, I don’t have a link to it) stating that the films will focus on events shortly after Return of the Jedi. I know that the announcement has already been made that these will be three original stories. So it is unlikely that they will take any major plot points or characters from the already existing Expanded Universe. That’s fine with me because I’m not incredibly well versed in the Star Wars EU. However there are a few things from the EU that have caught my eye, and that I think would be a lot of fun to see in these films. Besides, the expanded universe has found ways of creeping into official cannon before. Two quick examples would be some bloke named Boba Fett being first introduced in the infamous Star Wars Holiday Special, the capital planet of Coruscant being named in Timothy Zahn’s Thrawn trilogy, and then forced into the Special Edition of Return of the Jedi, and featuring prominently in the prequels. A Google or Wiki search can give you a detailed list of all the different races, technologies, and worlds that first existed in the EU and made it into cannon. No matter how unlikely it is for any of these things to actually appear in Episodes VII, VIII, IX, Speculating will be fun, and there’s always a chance. 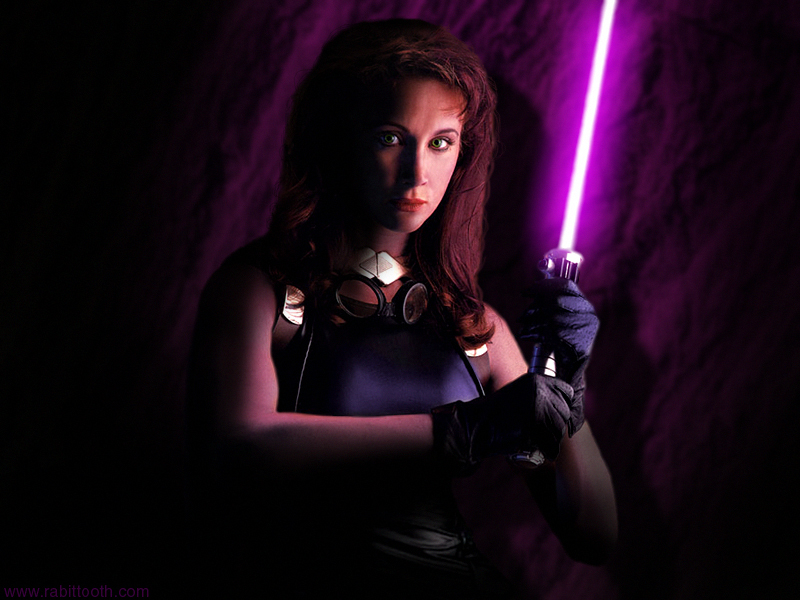 1) Bring in the character Mara Jade. As badass as Han Solo is, I always identified more with Luke. He was the guy I wanted to be. 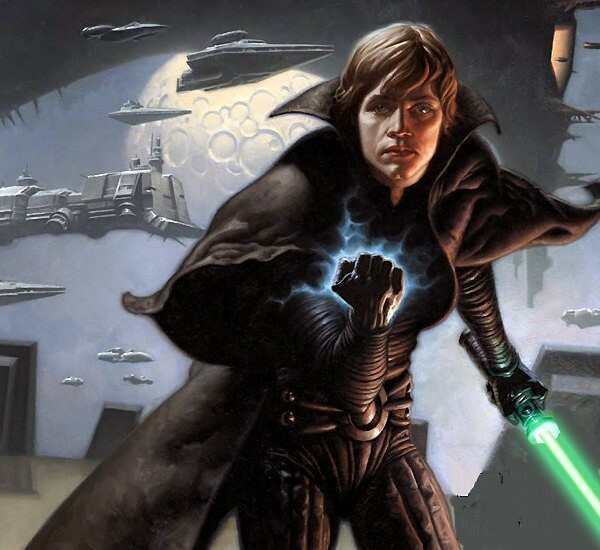 He got the coolest weapon and he got to use the force, and become a Jedi. Luke was taking the journey of self discovery that I could only dream of. And if you’re like me, you’re probably a little annoyed that he never found someone to love. The one girl in the galaxy he had a thing for turned out to be his sister, and even if that sort of thing was cool in a galaxy far, far away, Han snagged her anyway. Timothy Zahn fixed that when he introduced this strong, and incredibly complex former smuggler who was sworn to kill Luke to avenge the death of The Emperor. If watching their bizarre romance unfold wouldn’t make for great cinematic drama, I don’t know what will. 2) Luke turning, momentarily, to the dark side. Dark Empire is a comic series put out by Dark Horse Comics. All I know of it was the controversial decision to turn Luke, for just a little bit, bad. I love this idea. It challenges the entire Star Wars universe as well as the universe of fans, in ways that many of us would not be ready to deal with. And if you’re going to make these films, you need to push the characters and the viewers. It would create genuine concern for what’s happening, and keep us on the edges of our seats because if Luke can go bad…anything can happen. BUT, I did read somewhere, many years ago, that George Lucas himself hated this concept, and so, this is probably the unlikeliest of events. 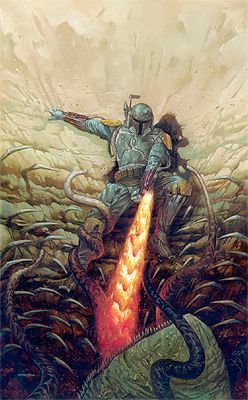 3) The Return of Boba Fett. When I was around six, I went trick-or-treating as Mr. Fett. The entire night was my sister and I going from house to house, asking for candy and explaining, “I am NOT Darth Vader!” This was before Boba had reached the cult icon status he currently holds in a death grip. I wasn’t a big Fett fan, it was the only Star Wars costume we could find at the time, but I do feel that he went out like a chump, and would like to see him in action. Will any of this happen? Probably not. But it’s fun to think about. And until May 2015, I will be watching the new Star Wars Movies in my head, just the way I want. What do you want to see in the next trilogy? Nerd out below.